Perfection is a tricky business. Most of the time it’s a long road with the end destination not even in sight. I am pleased to tell you that Austin and I have finally managed to make perfect (yes, perfect!) soaps. No more panic attacks because the soap turns a strange colour or ceases unexpectedly. Instead, fluffy lightly traced mixtures that go through the gel phase like clockwork. So what do you do once you’ve reached perfection? … You start missing the imperfections. You realise it’s the journey that counts not the final destination. The adrenaline rush surging through you when a soap goes off too quickly for example, or the anticipation which colour a soap will be after it cools down. Or the excitement mixing lye with coconut milk not knowing whether the mix will separate because you didn’t throw it into cold water fast enough. So I guess I have to raise the bar higher to get back my adventurous spirit. 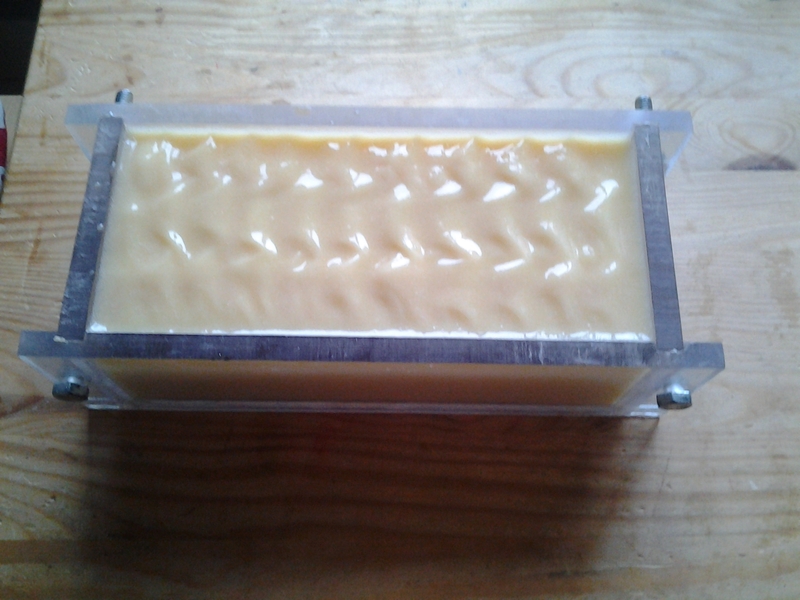 With these words I’ll leave you with my beautiful goat’s milk soap recipe and some wise words on the wonders of goat’s milk in soap: It’s a fantastic soap for sensitive skin as it cleans and softens the skin without drying it out. The acids in goat’s milk help exfoliate the skin leaving new cells on the surface making your skin look smooth and healthy. And don’t get me started on the vitamins and minerals in goat’s milk. It’s just an overall brilliant product to use in soap! Posted on October 24, 2013 by soapmeprettyblog	• This entry was posted in Soaps and tagged Goat, Milk, Soap. Bookmark the permalink.